Your one stop automotive performanc­e shop for all car enthusiast­s catering for all requiremen­ts whether it be your day to day car or your race car. 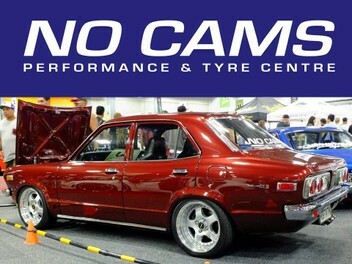 No Cams Performance & Tyre Centre was established back in 2001 & caters for a wide range of services for all makes & models of vehicles whether it be your daily driver, hot rod, weekend toy or your race car. WE PROVIDE A QUICK WELL PRICED QUALITY SERVICE BY TRAINED MOTORSPORT TECHNICIANS SO YOU ARE ASSURED THAT YOU & YOUR FAMILY ARE SAFE. We strive to offer the best prices in New Zealand & offer shipping NZ wide. Brendan is the guy you need for any tyre advice. He help me choose the right tyres for my wife's silvia and the cost was very reasonable. Branden does not insist on purchasing high end tyres. He understands your budget and gives you advice base on it. Would definitely trade with this guy again. I was looking for a new set of tyres for my car... Brendan hooked me up with some decent tyres that fits my budget. He's a great guy, no 'sales' talk (like what you get from other shops)...just an honest professional opinion and a good price. I would definitely recommend his shop to all my friends.